Hello! I just love these beautiful vintage Christmas images from the Wintertime in Swedish Lapland collection. 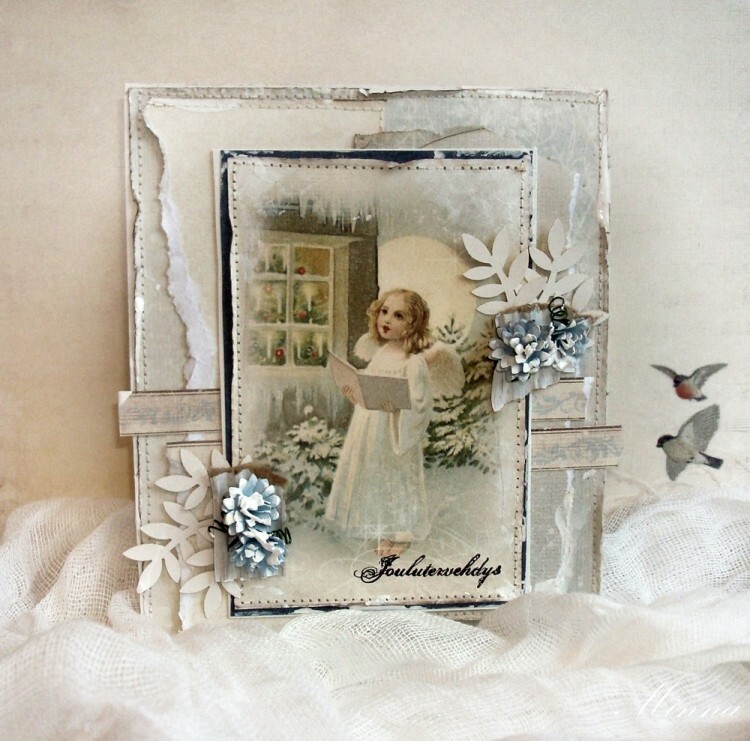 In this card I have used this cute angel image. The sentiment is in Finnish and says “Christmas greetings”.